Dr. Peter Kim was hit like a ton of bricks when a workaholic friend passed away from cancer. Death can bring some clarity to one’s life. It’s a reminder we’re mortal, and our time is fleeting. It reminds you to appreciate what we have, and to remain in the now. 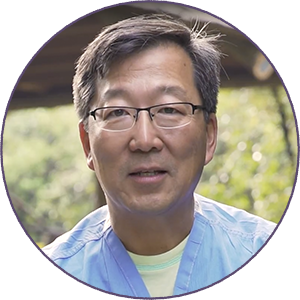 As a result, Dr. Kim decided to retire from his full-time position at Kaiser Permanente in Colorado, and practice medicine exclusively through locum tenens on a flexible, part-time basis. “I’m averaging maybe two days a week working locum tenens, so around one to two weeks a month,” Dr. Kim says. With all of the free time his schedule allows, he has decided to homeschool one of their children, and locum tenens has allowed him to be fully involved in his children’s sports – even being able to take on the task of coaching their baseball team. “I have three children, and my wife and I homeschooled our twelve year old, which was interesting and fun,” he says, “and I’ve been busy with their sports teams. I can even do some yard work,” he quips. The added free time – without the burden of worrying about what’s awaiting him at work when he returns from break – has allowed him to spend more time fully enjoying what he loves to do, as well as pursuing and learning new things. Locum tenens has some lesser-known benefits, one of which can have a profound effect on a physician’s health. Dr. Kim really loves to travel, and because he homeschooled his son he decided to make a trip overseas part of his curriculum. He’s also appreciated the fact that he doesn’t have to plan his trips six months in advance, as he had to when working in a permanent position. He’s able to be more spontaneous. Locums has also allowed him the time to pursue some of the lesser-known treasures of the U.S., specifically in certain parts of the West. His assignment in Wyoming planted him near many of these places. At this point in his locum tenens career, Dr. Kim has enjoyed taking assignments solely in the West, as this region is closer to home and allows him to spend more time with his family – and enjoy his leisurely pursuits. He’s also found that he enjoys assignments in more rural locations, and he hasn’t found these difficult to find. To date, Dr. Kim has fully embraced his locum tenens lifestyle, treasuring the opportunity he now has to spend more quality time with his family – and brush up on his fly-fishing skills. He’s finally able to practice medicine at the pace and in the locations he wants.